Beagle crate training is an excellent tool to learn. Read on to find out more! Beagle crate training is an important tool to learn! It will help with your beagles barking, anxiety and destroying behavior. Beagle crate training will make your life a whole lot easier! Will Your Beagle Like Their Crate? You may be unsure if your beagle will like their crate. It’s important for you to know that most beagles end up loving their crate! For hundreds of years wild dogs have slept outdoors in small, warm spaces to keep themselves safe. So it is in a beagle’s nature to crave an environment, such as a crate, where they can feel safe. If you don’t allocate a specific safe area, like a crate, to your beagle, they may get anxious and will try to control a bigger area such as your living area. The best time to start beagle crate training is from when they are a puppy. This will allow them to adapt to it much more quickly. Never allow your beagle to sleep in your bed – even when they are an adorable wee puppy. If you do this it will be difficult to move them to a crate later on. The best place to have your crate is in the living room where there will be lots of people around. At night move the crate to your bedroom so they know it’s safe as you are nearby. It will calm them down and your beagle will be less anxious. After about a month you will be able to leave the crate in one place. Inside the crate should be a blanket or mattress where your beagle can sleep comfortably. Make sure the crate is kept clean and provide water and a toy. The size of the crate should only be large enough for your beagle to turn around in but not large enough so they can wander. If it’s too big they may go to the toilet inside. If your crate is comfortable and the correct size your beagle will feel very safe and content. If your beagle gets upset inside the crate do not take them out and give them affection. This will cause your beagle to associate getting upset in the crate with you taking them out and giving them attention. A good tip is to only take your beagle out of their crate when they haven’t made a sound for around five minutes. After this five minutes is up you can take your beagle out of the crate and give plenty of affection. This will show your beagle they have done well and they will start to associate staying in the crate with receiving love and attention. As your beagle gets better at being in the crate you can start to increase the time they are in there. A maximum amount of two hours at a time to start with is a good guide. As your beagle gets older you can increase the amount of time to a full day or full night. By following this beagle crate training advice you will give your beagle a safe haven they can call their own. And you will be benefited with a great and obedient beagle that isn’t anxious. They will also appreciate the space you have given them and will grow to love and respect you. 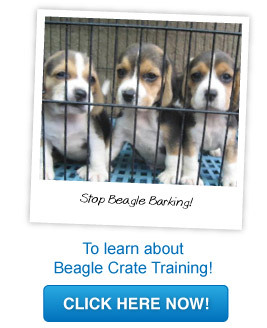 Start your beagle crate training today!